Get the best iPoker Deal! 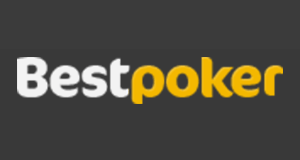 Winner Poker is part of the infamous iPoker network and has over many years established a fantastic reputation for being one of the safest and fairest online poker sites. It is operated by Universe Entertainment Services Malta Limited. The company is known for its integrity and care for customer satisfaction. 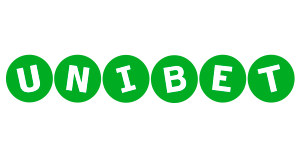 Winner originally started out as a sportsbook and many players come from the sports betting client, which makes up for some really juicy games. Being part of the iPoker network Winner offers great traffic around the clock as well as a huge variety of games including Texas Hold’em, Omaha, Omaha Hi/Lo, Seven-Card Stud, Five-Card Stud as well as modern poker formats such as Knockout Bounty tournaments or Spin & Gos, which are called Twister Sit and Gos on Winner Poker. Due to the wide variety of games and the fact that thousands of players are online at any time, it is very easy to find the games you are looking for. The high traffic together with our fantastic Winner rakeback deal make this online poker site a great option for both recreational and professional players alike. Please check out our in-depth Winner Poker Review including the details of our industry leading Winner Poker Rakeback Deal below. Below you can find a quick overview of the currently available Winner Poker rakeback and promotions. *Max rakeback is 35% of your contributed rake. We have been playing a lot of online poker at Winner Poker ourselves and can truly say we have had an amazing player experience. Great ongoing promotions, fanstastic Winner Poker rakeback and fast withdrawals complemented by a very friendly and helpful customer support make Winner Poker a great online poker site. In case you have any questions or are looking for a custom Winner Poker Rakeback deal, feel free to contact our support. 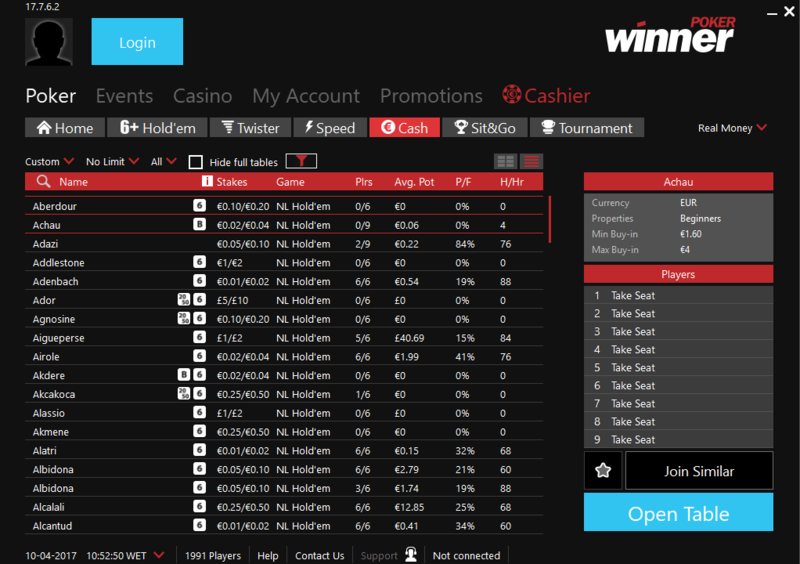 Also please leave a comment and let us know what’s your experience playing on Winner Poker. 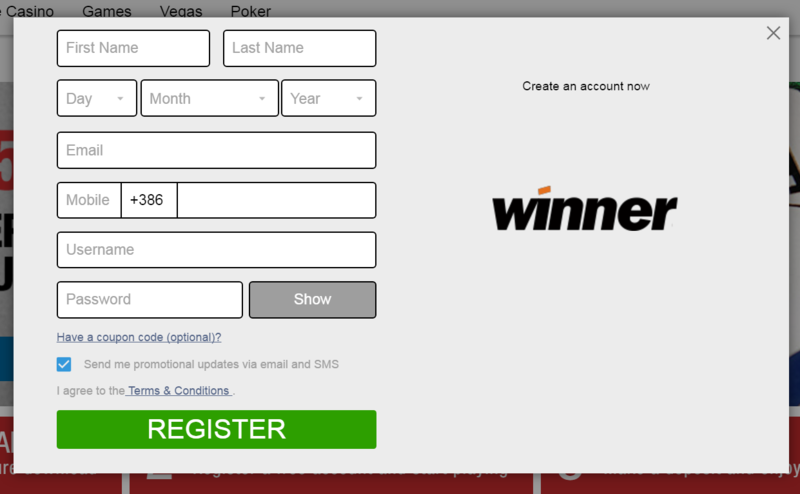 How to open an Account at Winner Poker? 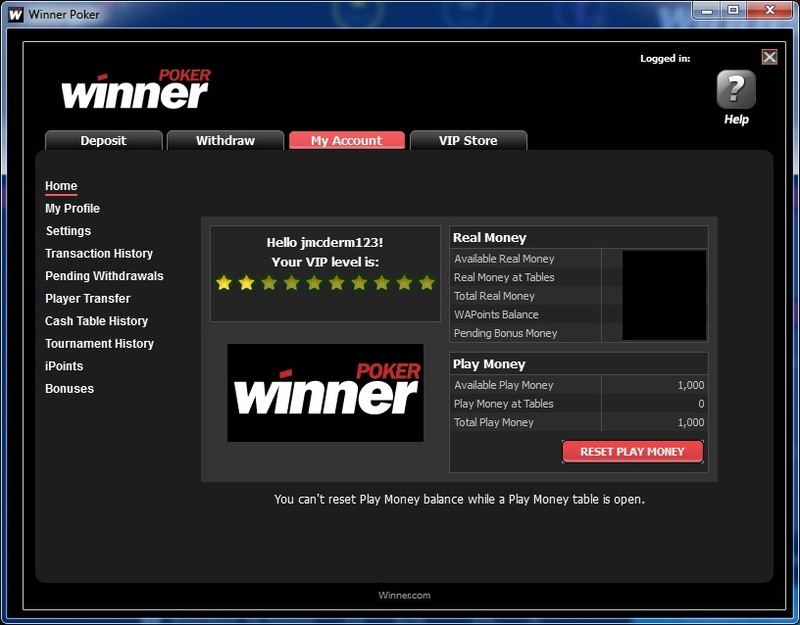 Opening an account at Winner Poker is simple. Simply follow our step-by-step registration guide and your poker account, will be ready within minutes. Please delete Cookies (important) and then CLICK HERE to start the Winner Poker registration process. You will be redirected to the Winner Poker home page. Once there, simply locate the “Join Now” button in the upper right corner of the screen and click it. Follow the instructions on the screen and enter your personal information. Some details like your country of residence, first and last name, date of birth and your physical address are needed in order to set up your poker account. Once your Winner Poker account is ready, you should make a deposit. Click on the “Cashier” button in your poker client and pick your preferred payment option. Now you are all set to enjoy your favorite games at Winner Poker. Please note that you need to enter the bonus code “vipgrind” in order to receive your deal. To ensure that you get access to our exclusive deals and promotions, you have to submit your table alias/nick. Here, simply enter your table alias/nick and be sure to pick the right Skin form the drop down menu. You can find the name of the Skin by clicking the “Claim Now” button on this page. CLICK HERE TO SUBMIT YOUR TABLE ALIAS. 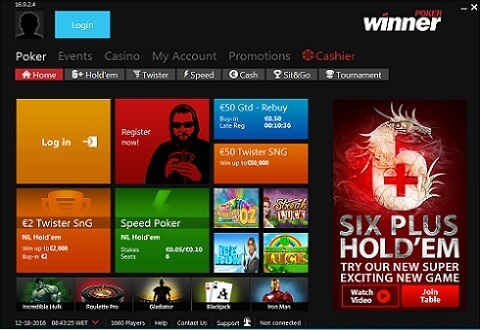 Some of the best promotions in the poker industry are available on Winner Poker. In addition to a great rakeback deal you will also access to our private promotions. You receive 60% Winner Poker rakeback based on the new iPoker rake allocation method (RPV) by default. Rakeback calculation period is from Monday to Friday, with processing taking place on Monday and you get your rakeback into your poker account every Tuesday. Please note that you will be set on level VIP1, so you can not change points from the standard loyalty store anymore, but will receive our custom VIP deal instead. There is a £10 rake target in (weighted contributed terms) in order to be eligible for rakeback payments. 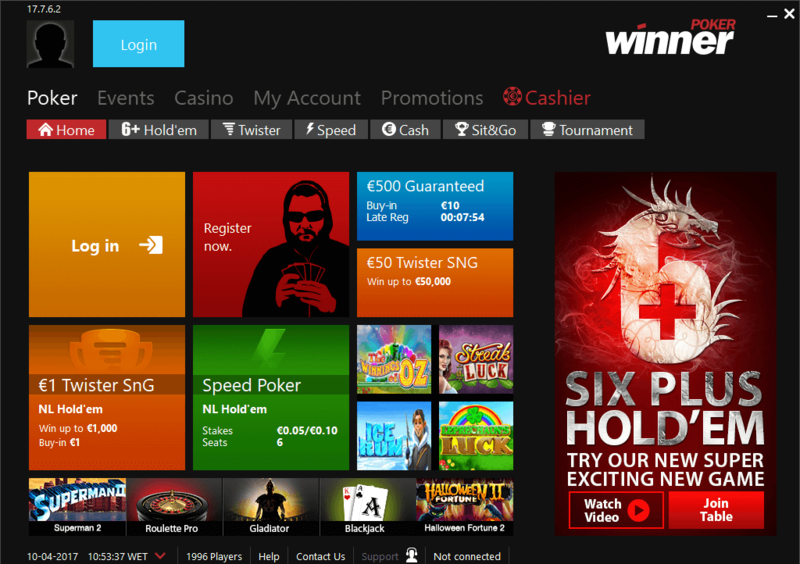 Winner Poker offers further promotions, you can take a look at them at their HOME PAGE. Winner Poker is a part of one of the biggest international poker networks (iPoker). 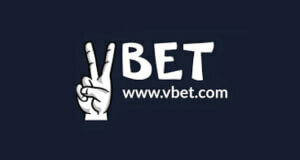 It therefore offers high and stable traffic at a wide variety of cash games. They also offer a great MTT schedule and a huge selection of Sit&Go Tournaments. CHECK A DETAILED REVIEW ON WINNER POKER´S TRAFFIC, SOFTWARE AND AVAILABLE GAMES HERE. 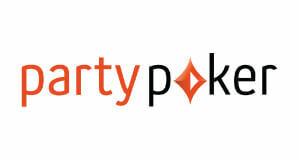 Winner Poker has recently announced a brand-new Winner Poker Mobile App. It is designed in HTML5 which makes it easily accessible on any mobile device. As said, the Winner Poker Mobile App is based on HTML5 and is therefore accessible directly on the WINNER POKER WEBSITE. The web based client is available for all iPhone, iPad, iPod touch or Android devices. There is no need to download the Winner Poker Mobile App as it is available to use directly in your web browser. Simply visit the WINNER POKER WEBSITE and you can enjoy your favorite poker games anywhere! Winner Poker offers a wide variety of payment options to ensure you can get funds on and off the site with a quick click on a button. Including all the most popular payment methods such as Skrill, Neteller and credit cards, you will surely find a payment option that suits your needs. Below you can find an overview of current and available payment options for Winner Poker. Being part of a big gaming and respected gambling company, Winner Poker has a long history of fast and reliable payments. 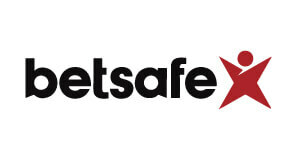 They have been investing huge amounts of resources into protecting their customers and their funds and will continue to do so. That said, you should not expect any delays or issues with payments. Winner Poker is eligible in the following countries: Albania, Algeria, Andorra, Angola, Anguilla, Antarctica, Argentina, Armenia, Aruba, Ascension, Austria, Azerbaijan, Bahrain, Bangladesh, Belarus, Benin, Bermuda, Bhutan, Bolivia, Bosnia And Herzegovina, Botswana, Bouvet Island, Brazil, British Indian Ocean Territory, Brunei Darussalam, Burkina Faso, Burundi, Cambodia, Cameroon, Canada, Canary Islands, Cape Verde, Cayman Islands, Central African Republic, Chad, Chile, Christmas Island, Cocos (keeling) Islands, Comoros, Congo, Congo, Cook Islands, Costa Rica, CÃƒâ€te D’ivoire, Croatia, Diego GArcia, Djibouti, Dominican Republic, Ecuador, Egypt, El Salvador, Equtorial guinea, Eritrea, Ethiopia, European Union, Falkalnd Islands, Fiji, Finland, Gabon, Gambia, Georgia, Germany, Ghana, Gibraltar, Greece, Guadeloupe, Guam, Guatemala, Guernsey, Guinea, Guinea-bissau, Heard Island And Mcdonald Islands, Holy See (vatican City State), Honduras, Iceland, Inida, Indonesia, Ireland, Isle Of Man, Japan, Jersey, Jordan, Kazakhstan, Kenya, Kiribati, Korea [KP], Korea [KR], Kosovo, Kuwait, Kyrgyzstan, Lao, Lebanon, Lesotho, Liberia, Lichtenstein, Luxemburg, Macedonia, Madagascar, Malawi, Malaysia, Maldives, Mali, Malta, Marshall Islands, Marrinique, Mauritania, Mauritius, Mayotte, Mexico, Micronesia, Moldova, Monaco, Mongolia, Montenegro, Morocco, Mozabique, Myanmar, Namibia, Nauru, Nepal, New Caledonia, New Zealand, Nicaragua, Niger, Nigeria, Niue, Norfolk Island, Northern Mariana Islands, Norway, Oman, Pakistan, Palau, Palestinian Territory, Occupied, Panama, Papa New Guinea, Paraguay, Peru, Pitcarin, Puerto Rico, Qatar, Russian Federation, Rwanda, Saint Helena, Samoa, San Marino, Sao Tome and Principe, Saudi Arabia, SaudiÃ¢â‚¬â€œIraqi neutral zone, Sengal, Seychelles, Sierra Leone, Solomon Islands, Somalia, South Africa, South Georgia And The South Sndwitch Islands, Soviet Union, Sri Lanka, Svalbard And Jan Mayen, Swaziland, Sweden, Taiwan, Tajikistan, Tanzania, Thailand, Timor-Ieste, Togo, Tokelau, Tonga, Tristan da Cunha, Tunisia, Turkmenistan, Turks And Caicos Islands, Tuvalu, Uganda, United Arab Emirates, Uruguay, Uzbekistan, Vanuatu, Venezuela, Viet Nam, Virgin Islands, British, Wallis And Futuna, Western Sahara, Yemen, Zambia, Zimbabwe. 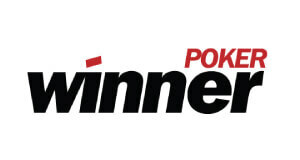 Winner Poker has built a reputation for being one of the fairest and safest online poker sites out there. 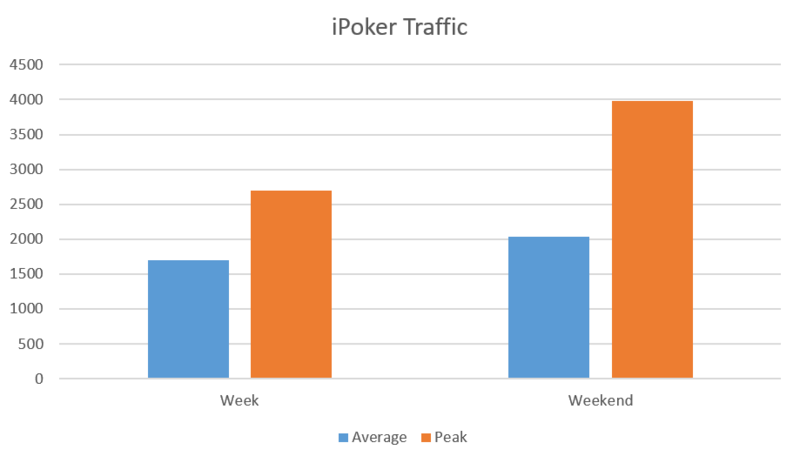 As it’s the case with all iPoker rooms, traffic is great at Winner Poker. Members of Winner can play with the entire iPoker player pool, which means the traffic is high and consistent at all available limits. 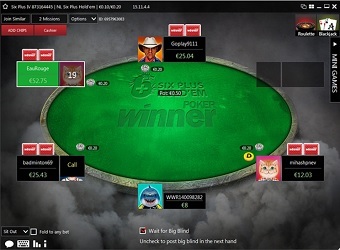 iPoker is an online poker network that consists out of some of the world’s most know and trusted online poker rooms. 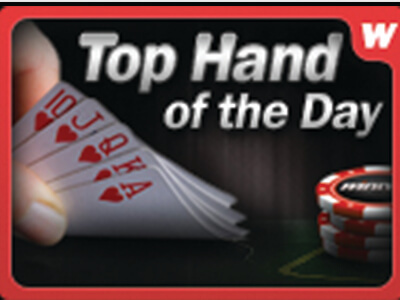 It is always in the Top 10 of the biggest online poker sites in the world at PokerScout.com. 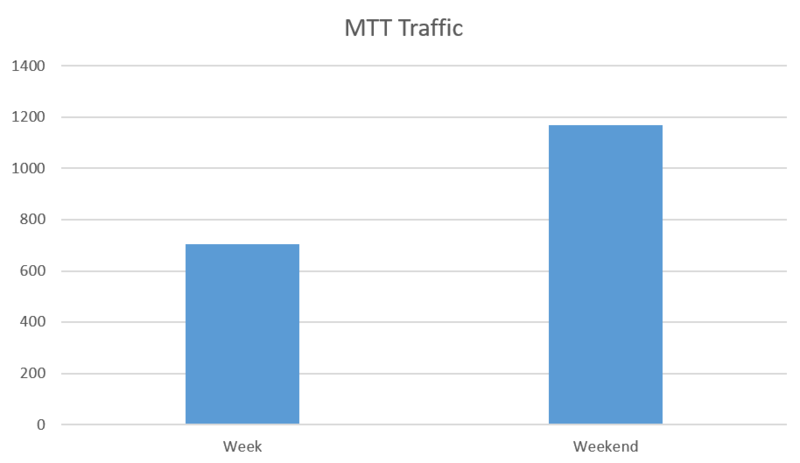 As it is shown in the graph above, traffic is stable around the clock and all days of the week and it increases on the weekends. The largest share of players playing on iPoker comes from Europe so it comes to no surprise that the action peaks in the evening in the European time zones. Sign up at Winner Poker! Your account balance as well as table stakes and tournament buy-ins are shown in GBP or EUR on Winner Poker. The games usually run in EUR but you don’t need to worry about the currency exchange as it is made automatically when you buy-in at any game. Winner Poker offers the most popular cash game variants including Hold’em, Omaha, Omaha H/L and even the evermore popolar Six Plus Hold’em. Stakes ranging from NL2 to NL1000 are available and usually there is more than 260 active tables you can join. The traffic at their cash game tables is very high with over 1100 active players at peak times. As mentioned above, you will find the most action over the weekends when over 300 tables are usually active. No-Limit Texas Hold’em is by far the most popular game format on Winner Poker. With an average of 500 active players there is always a seat for one more player somewhere. You can even find up to 6 tables of NL1000, NL400 and NL200. 6-max tables get the largest share off traffic but Heads Up players will be delighted to see that Winner Poker has one of the best HU offerings in the industry. Pot Limit Omaha stakes ranging from PLO4 to PLO1000 are available on the Winner Poker Network. While High Stakes action is scarce during the week, it picks up over the weekend with even some PLO1000 tables running. 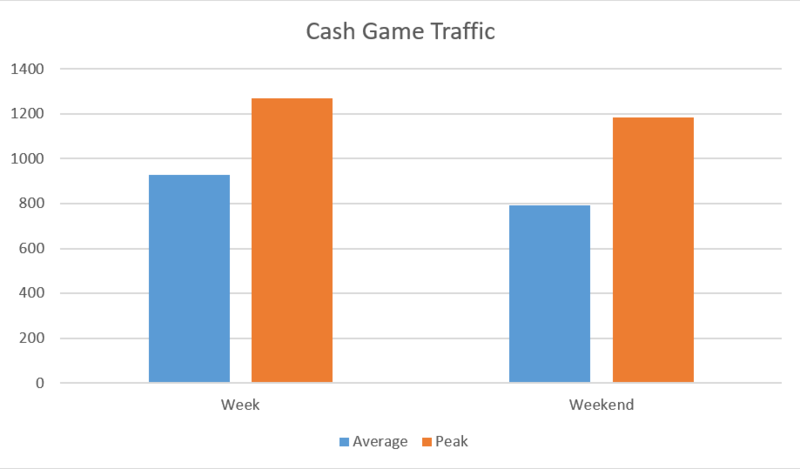 Although PLO gets less attention than NLHE traffic at Winner Poker’s PLO cash tables remains stable with an average of 110 players over the week and 180 players during the weekend. It is however surprising that the HU PLO tables get more traffic than 6-max tables. The fast-fold poker format on Winner Poker is called Speed poker. It is available at stakes ranging from NL5 to NL200. Winner Pokers MTT schedule is packed with exciting tournaments. From freezeouts to Knock-Out tournaments, they have it all. The tournament buy-ins range from €0,50 to €100. This great selection of tournaments attracts an average of 800 players over the week and around 900 players on the weekends. There are multiple tournaments that run daily on Winner Poker. Starting with the €1000 GTD Breakfast tournament and finishing off in the evening with the €10,000 GTD Championship. The tournament action peaks on weekends at Winner Poker. 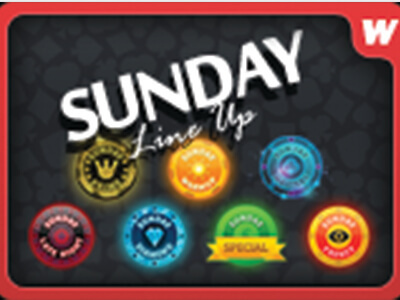 The Sunday tournaments such as the Warm Up boast huge guarantees for affordable buy-ins. The highlight of Winner Poker’s weekend schedule is the €75 buy-in Big Sunday with a €100,000 guaranteed prize pool. Winner Poker sometimes runs special tournaments such as live tournament satellites and freerolls with high guarantees. Winner poker offers a wide selection of Sit and Go’s and various buy-ins levels ranging from €0,50 to €5,000. Formats like Double or Nothing and Twister SNG’s are available. SNG traffic peaks on weekend with around 75 active players at Winner Poker’s Sit & Go tables. Usually between 6 and 14 Sit and Go’s are active at any given time so you can have a SNG session up and running in no time. Headsup SNG’s are available at buy-ins ranging from €0,50 to €5,000 in their Regular, Turbo and Super Turbo variants. Hyper SNG’s usually run 6 handed and at all buy-in levels from €0,50 all the way up to €5,000. But, Heads Up hyper SNGs also get decent traffic. Twister SNG’s are Winner Poker’s version of lottery Sit and Gos. 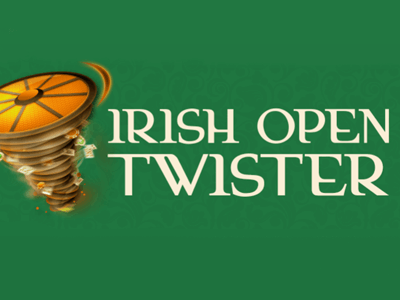 Twister tournaments are 3-handed Sit and Go’s that allow you to win up to 1000 x your Buy-in. Winner Poker offers one of the most packed freeroll schedules available in the online poker industry. 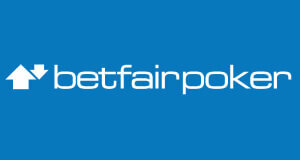 There are multiple daily and weekly freerolls and Winner Poker awards thousands of euros trough them. The daily freeroll schedule is listed in the table below. 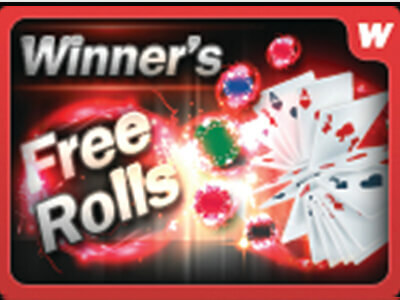 We currently don’t offer any private freerolls on Winner Poker. Winner Poker as well as all the other iPoker rooms, uses the newest Playtech software, which is very reliable and developed to fit the industry’s highest standards. Playtech’s software is available on Windows, Mac, Android and iOS devices. Playing poker on the go was never this easy before. Simply download Winner Pokers Mobile App to your iOS or Android device and get access to your favorite poker games anywhere and anytime. All standard options like auto-rebuy and auto-timebank are available, along with other advanced options to make multitabling very easy. Betting sliders can be tailored to your preference and a wide number of themes and layouts are available. The lobby is easy to navigate and games are neatly sorted by currency, format and stake. You can further filter your results in the well-designed filters tab. The table design is modern and simple with many customization options. Tables tile or stack well, making multitabling a breeze. Winner Pokers software is well suited to multitabling and allows you to play up to 16 cash game tables at once. You can run even more MTT & SNG tables than cash game tables with the number of tournament tables being limited to 20. The full rake structure is available in the table below. 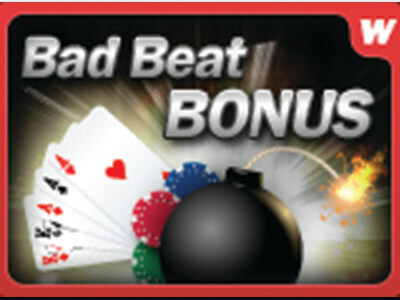 Our Winner Poker Rakeback Deal gives you access to a great return of up to 60% winner rakeback. Your earnings will be boosted with our private promotions and rake races as well. You will get a 60% return when you open a Winner Poker account trough us. You will also be able to take part in our value packed promotions such as the VIP Leaderboard and $10,000 MTT & SNG VIP Leaderboard. All in all, Winner Poker is one of the best and most underrated online poker sites out there. The combination of high traffic, soft games and the fantastic Winner Poker Rakeback Deal are making it one of the most profitable online poker rooms available. iPoker’s player pool and the excellent Playtech software make Winner Poker a good choice for any poker player that is looking for a trustworthy online poker room with good traffic and a wide variety of games. Sign-up with Winner Poker below using Code “vipgrind”. Submit your Winner Poker table alias/nick here.